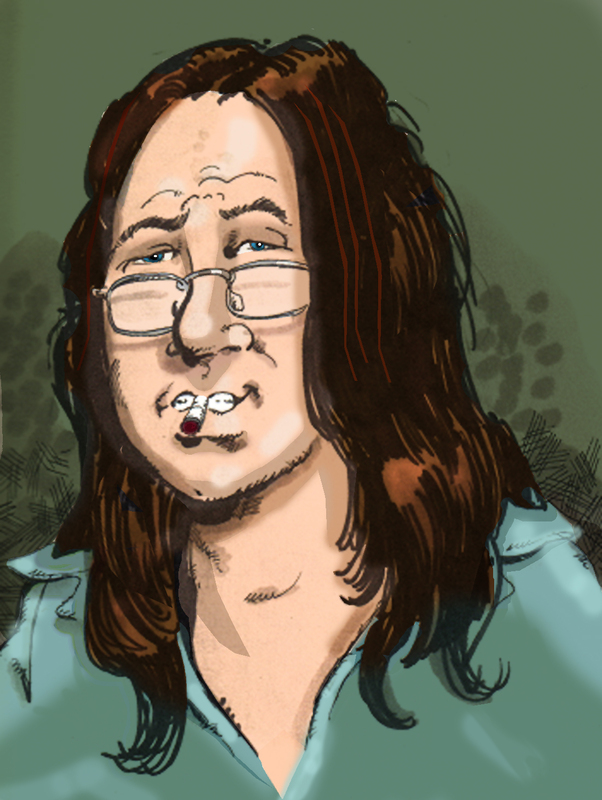 Gene Day (1951-1982) began his career in the Canadian alternative comix scene, working with and encouraging a new generation of Canadian comic creators create their own comics. In the seventies he began his own publishing imprint, Shadow Press / House of Shadows and put out over twenty issues of Dark Fantasy, a horror/fantasy/sci-fi digest that featured the early writings of Joe Lansdale, Charles De Lint, John Bell and Charles R. Saunders, amongst others; a short-lived comic publication, Out of the Depths and various other one-shots, portfolios, and prints. Those early roots led Day to be noticed my larger publishers, Day continued working in comics until his untimely death. Dave Sim credits Gene Day as his earliest and most influential mentor and the inspiration for his own self-publishing efforts. 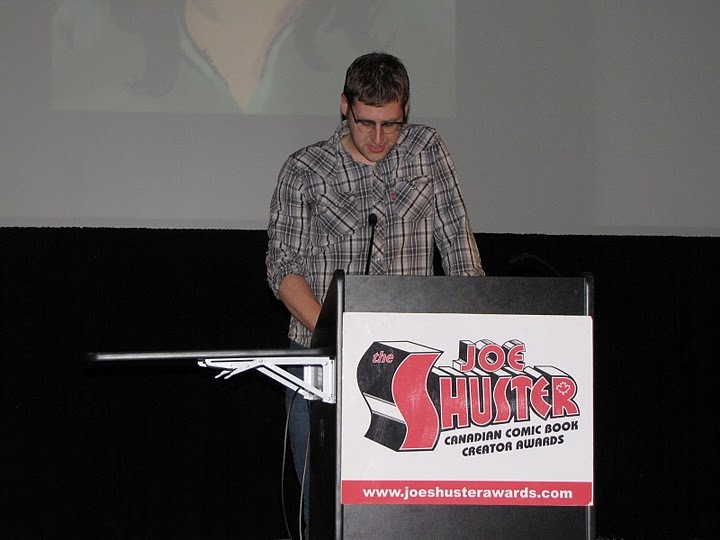 Gene Day was inducted into the Canadian Comic Book Creator Hall of Fame in 2007. 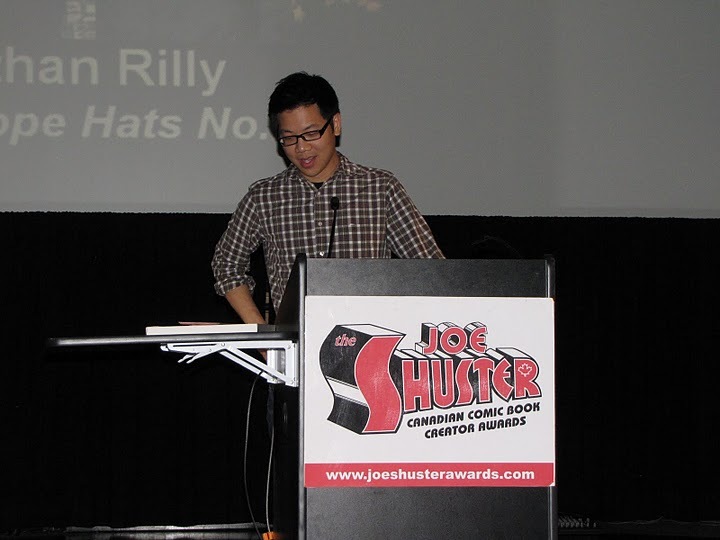 This award was created with the permission of the Day family and is accompanied by a $500 cash bursary from the Canadian Comic Book Creator Awards Association to encourage future efforts. The self publishing scene seems to grow every year. The scene is in a renaissance, invoking the creative 80’s, and the caliber of talent producing unique, fresh, fun and interesting comics is very strong on a national level. There is a healthy, independent, creative comix scene all over the country in cities like Vancouver, Edmonton, Calgary, Toronto, Guelph, Oshawa, Montreal, Quebec City, Moncton and Halifax, which speaks to the growth of widening recognition that zines and comix are receiving. This year the level of quality was top notch, there were 3 Xeric Grant recipients included amongst our finalists, and the quality of the cartooning is very strong. We look forward to following the careers of all of the nominees but the 2010 winner is Ethan Rilly for Pope Hats! With Pope Hats No.1, Ethan Rilly produced a very sophisticated work. The story was intriguing and complex, utilizing a time shift. The artwork was lush and detailed, showing off a wonderful brush stroke with the inking. The Award selection committee was impressed with the maturity and strengths of the entire package and can’t wait to see more of Rilly’s work in years to come. Pope Hats was first published in 2008, received a Xeric Award & grant, which Rilly used to revise, redraw, rework and expand upon for the spring 2009 release of this edition. 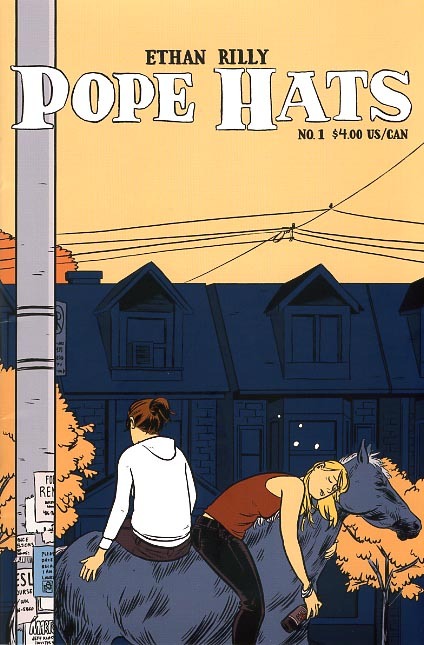 Pope Hats is already a success story in that it has already been picked up for distribution in November 2009 by American publisher Adhouse Books. This entry was posted in General Announcements, Publishers by Kevin A. Boyd. Bookmark the permalink.